Books and stories are very important for little ones. It helps them develop language and listening skills and prepares them to understand the written word. 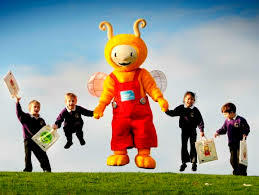 Book Bug is a programme delivered by Glasgow City Health and Social Care Partnership. It provides four free bags of books to every child in Scotland, as well as providing free, fun activities such as Bookbug Sessions in almost all libraries across Scotland.